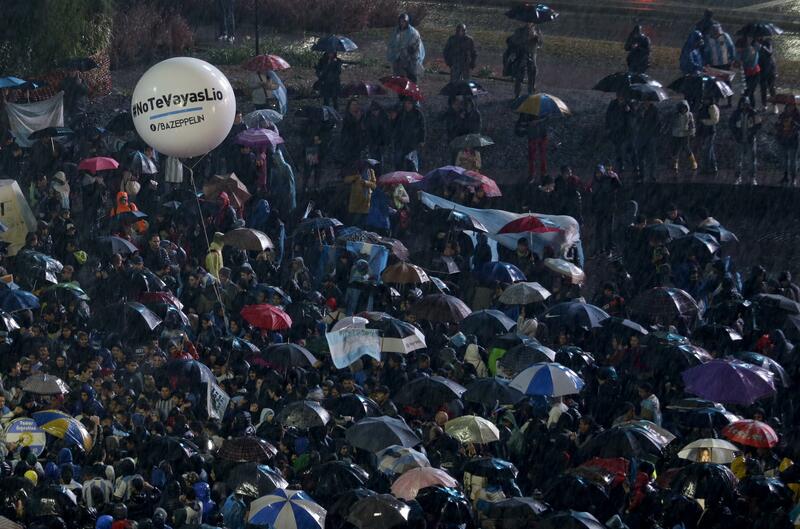 BUENOS AIRES, Argentina – Hundreds of fans of Lionel Messi gathered in the rain in Argentina’s capital on Saturday to ask that the soccer star return to the national team following his shock retirement from the squad. Messi announced his decision to leave Argentina’s national team after it lost to Chile on penalty kicks last week in the Copa America final in the United States. Support for Messi has been overwhelming on social media with sports figures, artists and politicians urging him to return. Billboards and signs across the city are also asking him to stay. On Saturday, the cold and rain kept the numbers down with only a few hundred fans gathering to urge their hero to return, not the thousands that had been expected. Messi, who moved to Barcelona at age 13, has often faced criticism in Argentina because he has failed to deliver the country a major title – in contrast to his repeated success at Barcelona. “Messi is the best player in history, both in Argentine and international football. I don’t think we will see another like him in the next thousand years,” said fan Hernan Sanchez during the rally in Buenos Aires. Published: July 2, 2016, 8:57 p.m.